Liminal Air SpaceTime by Japanese artist Shinji Ohmaki. All images courtesy of Art Basel. Artists, galleries and collectors from around the world flocked to Hong Kong for the region’s most prestigious art show last week (March 29-31). 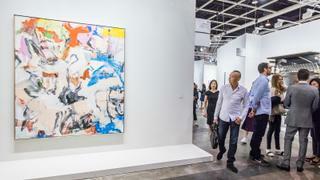 Now in its sixth year, Art Basel Hong Kong featured 248 premier galleries, each showcasing high-quality modern and contemporary pieces from across the globe. With half of the participating galleries coming from Asia and Asia-Pacific, the show provided a gateway for discovering local artistry as well as an insight in to the region’s diversity through both historical material and cutting-edge works by established and emerging artists. Off to an immediately successful start, a 1975 painting by Willem de Kooning called Untitled XII (pictured above) sold for US$35 million just two hours after the opening of the show. The artwork was from the personal collection of Microsoft co-founder, billionaire collector and owner of superyachts Tatoosh and Octopus,Paul Allen, who asked established New York dealer Lévy Gorvy to represent him. It is thought to be the most expensive work ever sold at the Hong Kong event. Scroll down to discover everything else you need to know from 2018’s edition of Art Basel Hong Kong. 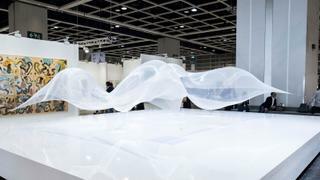 Dedicated to presenting large-scale sculpture and installation works by leading artists from around the world, the ‘Encounters’ section of Art Basel Hong Kong provides visitors with the opportunity to see awe-inspiring works that transcend traditional art fair stands. Japanese artist Shinji Ohmaki’s Liminal Air SpaceTime (above), presented by Mind Set Art Center, took a once solid object and dissolved it into kinetic sculpture, creating an illusion of air as form. An 8x8 metre silk cloth took in a complex balance of air, light, temperature and humidity as it swayed and changed continuously. As the cloth fluctuated, observers felt its movements defy expectations - playing with the notions of space and gravity. 7 Curtains, a new site-specific work by Ulla von Brandenburg, was presented jointly by Pilar Corrias and Meyer Riegger. Interested in theatre and absurdity, von Brandenburg's installation consisted of a sequence of seven monumental stage curtains, inviting the audience to perform by stepping into the colour field. The Edouard Malingue Gallery premiered a new performance by Chou Yu-Cheng titled Refresh, Sacrifice, New Hygiene, Infection, Clean, Robot, Air, Housekeeping, www.agentbong.com, Cigarette, Dyson, Modern People. This hard-to-miss sculpture featured giant plates, bowls and chopsticks. Blurring the boundaries between public and private spaces, Chou Yu-Cheng explored the concept of hygiene, technology and the distribution of labour through sculpture, performance and recital. Official Art Basel sponsor Maison Ruinart, one of the oldest champagne houses in France, collaborated with Chinese performance artist and photographer Liu Bolin to launch a series of photographic works titled The Invisible Hand. The artist is known for his chameleon-like method of camouflaging himself into the background of a photograph, earning him the nickname ‘The Invisible Man”. 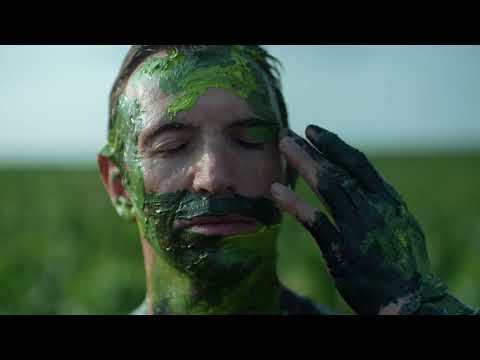 For this new series Bolin stayed at Maison Ruinart in Reims, France, for ten days, producing eight new performance images for Art Basel. The collection centres on the techniques and process of champagne-making and features Bolin alongside Ruinart employees. 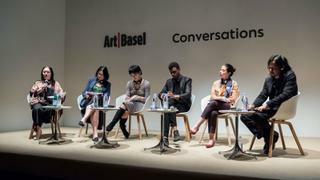 Fashion and art have always shared an indefinable border, but this year’s Art Basel fashion collaborations bring the two together effortlessly. Dior’s exhibition Lady Dior As Seen By featured over 60 different works paying tribute to the house’s signature bag. Dior commissioned a group of international artists and photographers, including Ren Hwang, Liu Chih-hung and Olympia Scarry, who were given carte blanche to reinterpret the iconic Lady Dior made famous by Princess Diana. The resulting pieces featured abstract reconstructions using materials from copper wire and iron to bamboo birdcages and neon lights. Meanwhile, Louis Vuitton showcased a collection of bold travel-inspired pieces brought to life by a group of contemporary designers and artists, including the Campana brothers and Hong Kong-based Andre Fu. Following the success of its art walls in Milan and New York, Gucci collaborated once again with Spanish artist Ignasi Monreal to expand its mural series to Asia. The art wall can be seen in Hong Kong’s La Kwai Fond and features three women, dressed in Gucci, fishing for planes in the clouds. Lastly, leather goods brand Coach honoured late American artist Keith Haring – the inspiration for its spring 2018 collection – with an interactive art walk in Wan Chai. Lee Tung Avenue was transformed with digital installations including graffiti displays inspired by the artist and a temporary tattoo station featuring Haring characters. 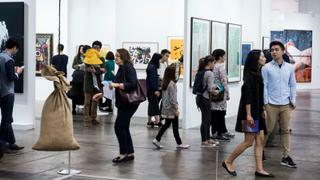 Expert discussions can often tell art lovers a lot more about a show’s exhibits. 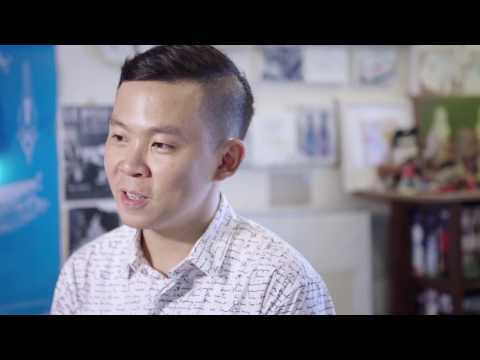 ‘Conversations’ sees industry professionals - artists, gallerists, curators, collectors and critics – come together to offer their unique perspectives on producing, collecting and exhibiting art. This year’s line-up featured a series of panel discussions concerning the global contemporary art scene including Video Art: Social Content in the Age of Digital Distribution, highlighting the increasing use of technology in art, and The Evolving Collector: Collecting as a Beginning for newcomers to the art world. 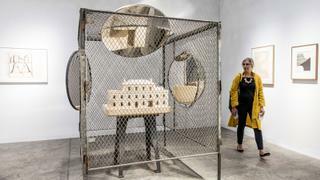 Iranian art was on the agenda in Hong Kong with the nation being represented for the first time at Art Basel by Tehran-based gallery Dastan’s Basement. Meanwhile, Hong Kong’s first and most comprehensive exhibition of Persian art opened at the Liang Yi Museum. The Blue Road: Mastercrafts exhibition featured 94 artefacts illuminating the significance of the colour blue in the visual and material culture of Iran. The sources of the Persian blue pigment used to adorn objects are explored, including cobalt ore that was utilised until the late Middle Ages. Ceramics, glassware, textiles, paintings and manuscripts dating from the 16th century to today were also displayed. At the same time, established German gallery Hauser & Wirth made its Hong Kong debut with a 10,000 square foot space dedicated to critically acclaimed contemporary artist Mark Bradford. He made history in 2007 when his Helter Skelter I artwork fetched $10.4 million, the highest-ever auction price achieved by a living African-American artist. The ‘Insights’ section at Art Basel Hong Kong offers a platform for local talent and celebrates art from the Asia-Pacific region including Asia, the Middle East and the Indian subcontinent. Presented by Hong Kong-based Galerie du Monde, Taiwanese artist Wu Chi-Tsung brought together traditional and contemporary collaging techniques to create beautiful tactile landscapes inspired by Eastern culture in the Cyano-collage series. India also made a breakthrough with nine galleries exhibiting at the show. Vivek Vilasini’s City - Fifth Investigation, presented by Sakshi Gallery, drew attention to the problem of environmental degradation in New Delhi. The piece featured 31 translucent rice paper sheets that had been exposed to dust and atmospheric pollution in the area.